Cruising Craigslist. Found this. My life won’t be full again until I own it. 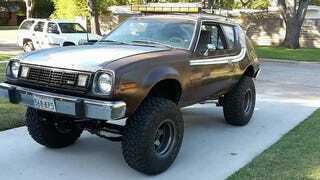 That’s right folks it’s a poo-brown Gremlin sitting on a Jeep chassis and it’s miraculous.